We had previously reported that Jeremy Renner was in consideration for a role in Todd McFarlane's directorial debut in the upcoming superhero movie 'Spawn,' and it has now been confirmed that the 47-year-old has indeed been cast in a starring role in the project. The script for the film takes inspiration from the comic book series of the same name penned by McFarlane, who had previously admitted that the script had 'a larger-than-normal page count' because he was putting in details for himself in the hopes he could direct. July 2017 saw approval for his first stint in the director's chair and this past May, 'Django Unchained' star Jamie Foxx was cast in the role of the eponymous antihero, Albert Francis 'Al' Simmons. Simmons, a highly trained Force Recon Marine, is recruited to the CIA and betrayed, set ablaze, and killed by his friend and partner after he begins questioning the organization's morality. His soul is sent to hell, where he brokers a deal with Malebolgia — in exchange for his soul, he will once again get to see his wife. However, he's betrayed once again, cast back into Earth in demonic form and with little memory of his previous life. He finds that his wife has left him for his former best friend and the pair even have a daughter together. Despairing and brooding, he seeks to wreak havoc and vengeance on street thugs and petty criminals before deciding he needs help to eliminate the evil permeating throughout the globe. It is here that Renner's character comes in. 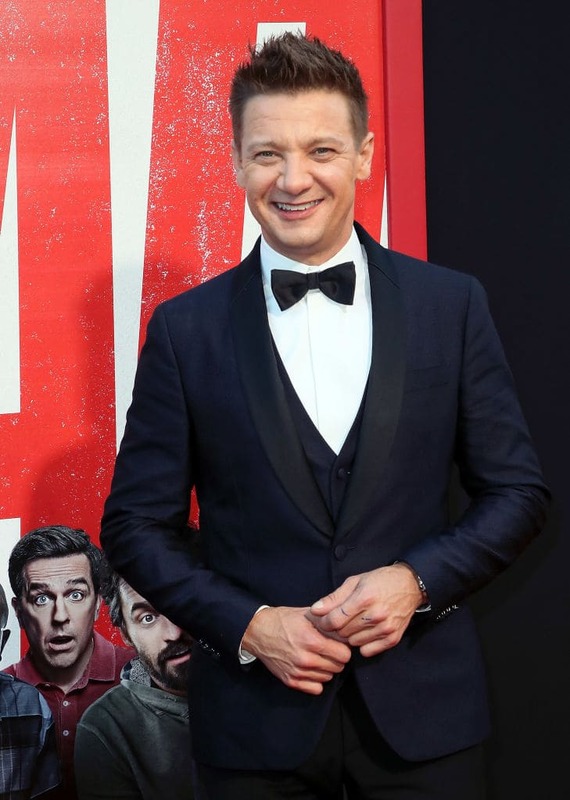 The actor, best known for his role as Hawkeye in the Marvel Cinematic Universe, will be portraying Detective Maximillian 'Twitch' Percival Williams, described as a soft-spoken Private Investigator who used to be a police officer for the New York City Police Department who recently started believing [in God] though he can't understand how God would harm his sons, as he could never allow harm to one of his seven children." Speaking on Renner's casting as Williams, McFarlane told Deadline: "I knew the person on screen the most is this police officer, Twitch Williams. We needed as strong a person as possible because he will be the face of the film. I took my naïve Hollywood approach again, and said let’s start at the top and work down." "Jeremy was at the top. I’m a huge fan of his. The character doesn’t need to be a bodybuilder or GQ handsome. I was looking for somebody who’s a person you’ve met before; I needed someone who can pull off the grief of an average human being. I’ve seen Jeremy do that in more than a few of his movies. He was at the top of my list, just like Jamie," he continued. 'Spawn' will be produced under Jason Blum's production company Blumhouse. A release date for the movie is currently unavailable.